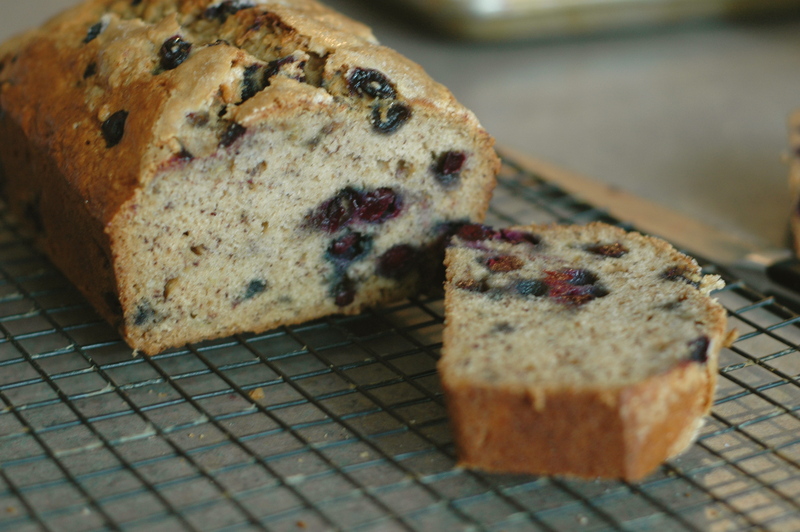 Browned butter banana bread with blueberries? I know what you’re thinking: Someone has been reading too much Dr. Seuss. And you may be right, I have. But, if loving alliteration (and browned butter) is wrong, then I don’t want to be right. I’ve made my share of banana bread in my day, so much so that I took a break for a while, until I came up with these beauties, then I went through a phase with those, and then needed a break again. And now, banana bread’s time has come again, and I must say, I think this might just be it’s best incarnation yet. 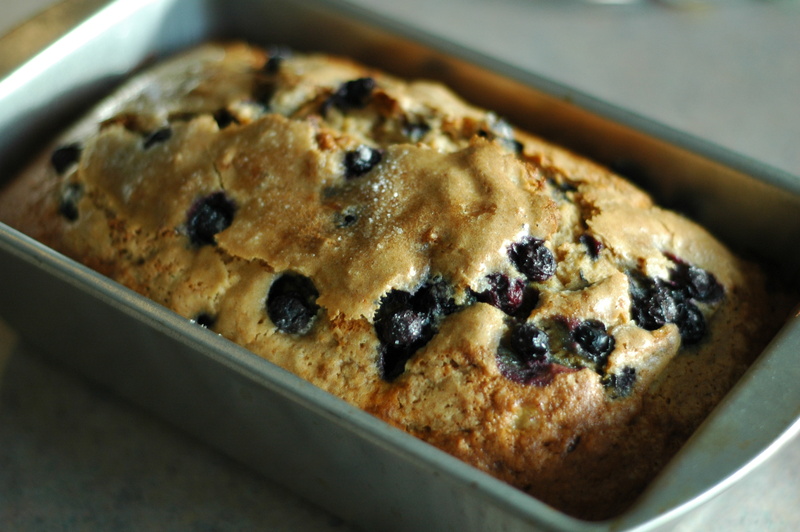 I can’t honestly say whether it’s the combo of blueberries and banana that I love so much, or if it’s the nutty flavor of the browned butter that makes this loaf special, or if it’s the addition of some truly lovely spices that put this over the top. I’m sure it’s some combination of all the above. Whatever it is, this banana bread was just. plain. delicious. 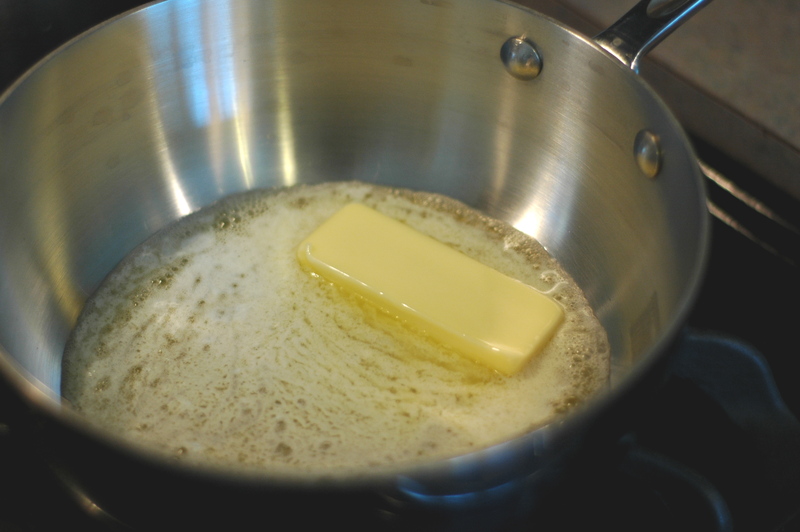 Incidentally, swapping out browned butter for the oil/butter in any recipe is a pretty neat party trick. It adds a subtle depth of flavor in everything, and will make people say, “Oooooh.” This is a scientifically proven fact, which I have tested on various tasters. It’s always, “Ooooooh.” It’s science, people. 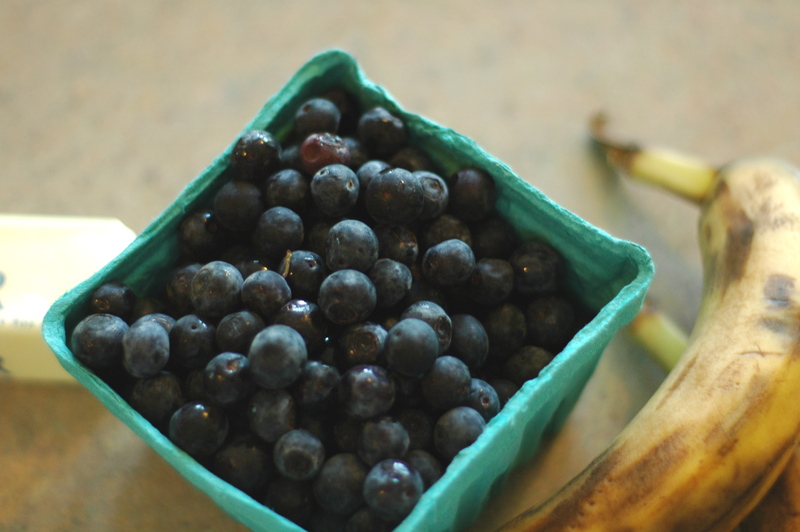 With all the lovely blueberries around the farmers’ markets lately (and sad bananas hanging around in refrigerators), this is the perfect thing to make for a weekend breakfast, but also for a weekDAY breakfast (wacky, I know) or for dessert. I promise you it’s a perfectly pretty and pleasant pastry for practically any possible pastime. Watch out, Dr. Seuss. Watch out. In a large bowl, whisk together the flour, 3/4 cup sugar, baking soda, salt, ginger and cinnamon. 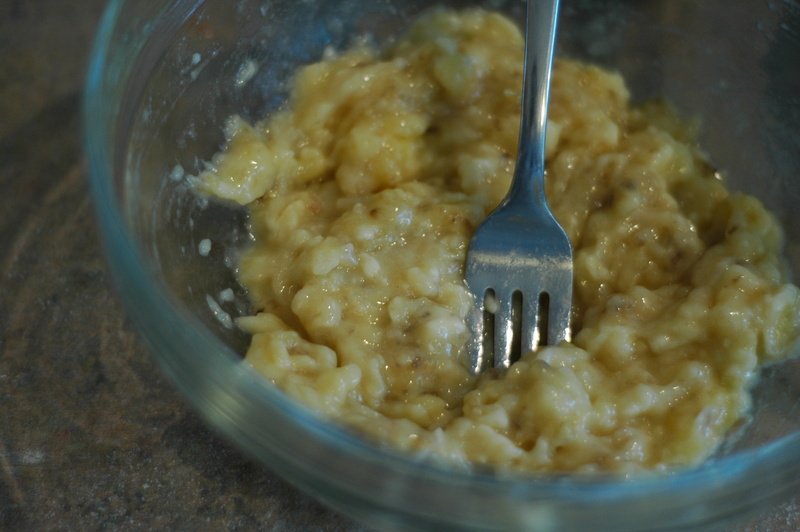 In a smaller bowl, beat the eggs lightly with a fork; then add the mashed banana, milk, browned butter, and vanilla. Stir to combine. Pour banana/butter mixture into the dry ingredients and stir until it is just blended- don’t overmix. Fold in the blueberries. 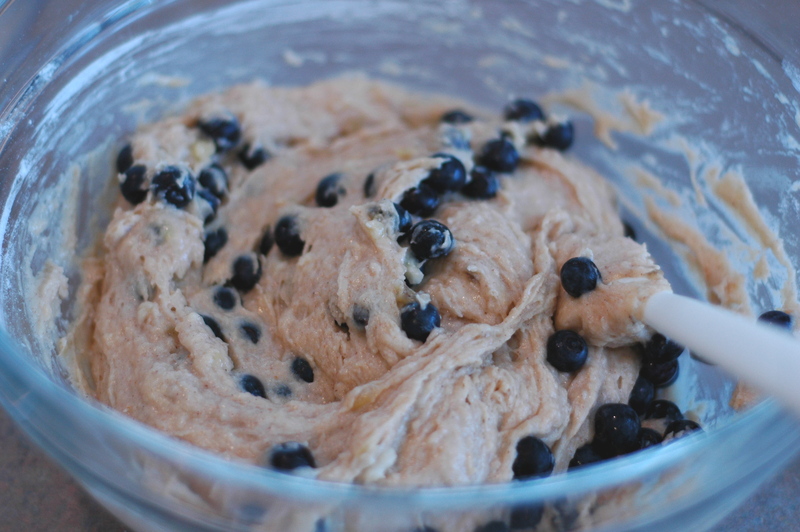 Pour the batter into a loaf pan that has been buttered or sprayed with cooking spray. Sprinkle remaining 1 tablespoon of sugar over the top of the batter. Bake for 60-70 minutes, or until a toothpick inserted into the center of the loaf comes out clean. 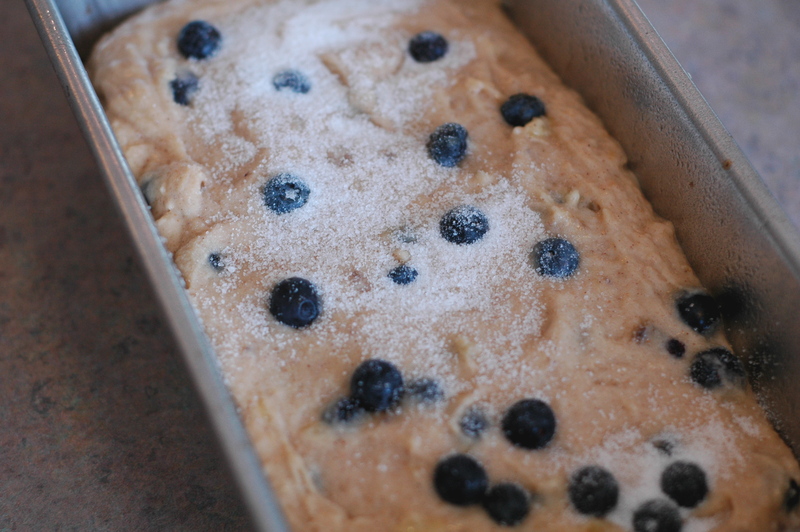 Let the loaf cool in the pan for 10 minutes, then turn it out to cool completely on a rack. I’m a Seuss fan. Bring on the alliteration! And the banana bread. i love browned butter! can only imagine how this taste! I would eat it with a fox. I would eat it in a box.